We’ve looked at other publications’ websites. Finding their prices is a real challenge – it’s kinda kept secret. How do you know how to budget your marketing expenses if you can’t find the prices for advertising? There are charges for the graphics… charges for photography… charges for changes… charges for signing up (that’s so ridiculous! )…charges for color… uuggghh! SAY NO TO ADDITIONAL CHARGES! 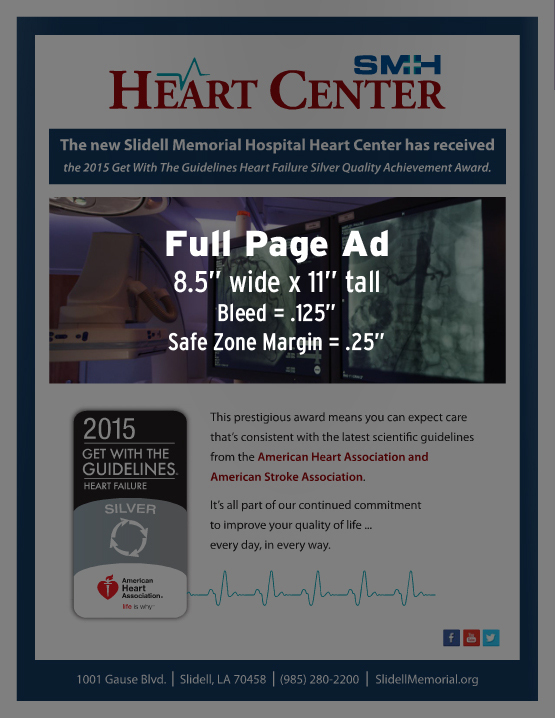 With Slidell Magazine, the price you see is the price you get! No additional fees for photography, graphics, changes, or color. There are no sign-up fees. We provide ALL of these services to you FREE! 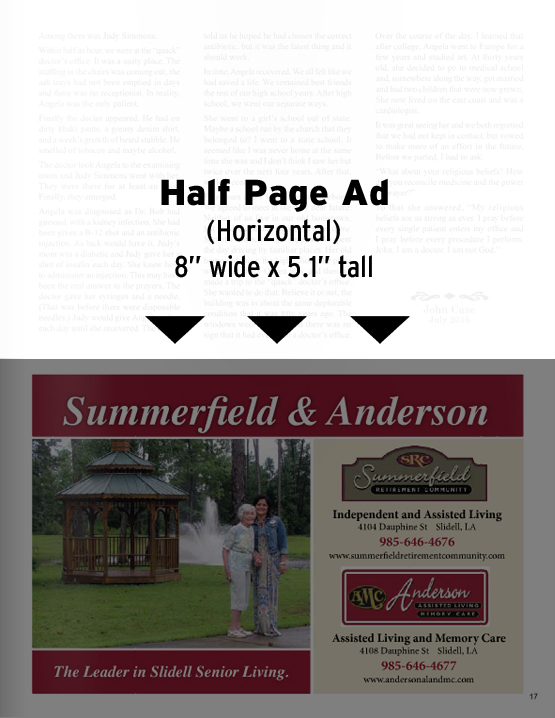 - Our advertisers are also featured on all of Slidell Magazine's social media sites & in email marketing blasts. Events Calendar! People consult our in-magazine calendar DAILY to find out what's going on around town. We will gladly accept an ad designed by your advertising agency. But not all businesses have their own advertising agency or graphics department. As a matter of fact, small businesses rarely do. So, we take the hassle and fear out of graphic design and copyrighting and all of the scary stuff that small business owner’s simply don’t have time to deal with. We will meet with you, develop a marketing strategy that fits your needs and your budget and design the ads for you! 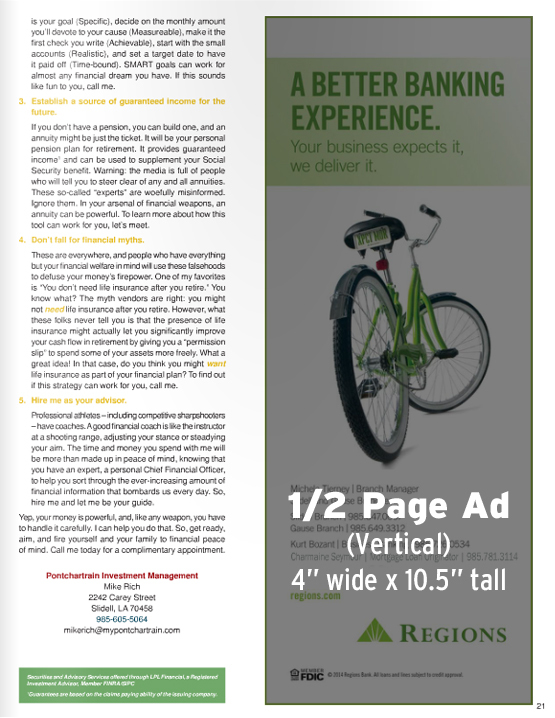 PARTNER WITH SLIDELL MAGAZINE - WE'LL MAKE YOUR BUSINESS FAMOUS! May be placed anywhere in the magazine at Slidell Magazine's discretion. 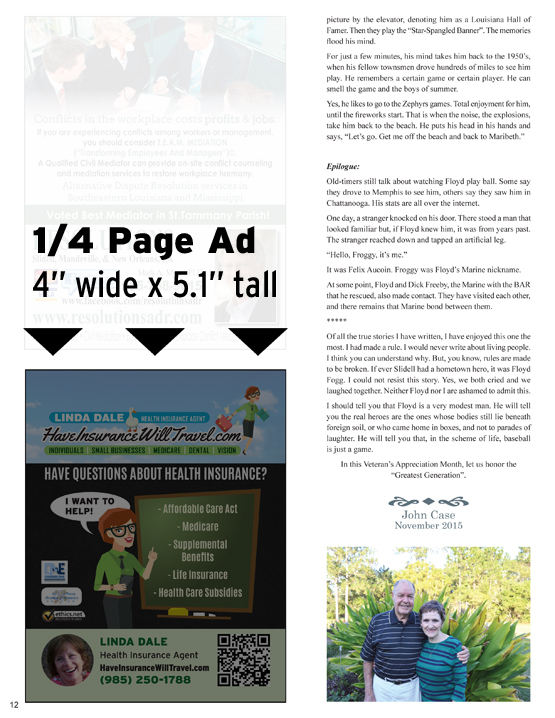 May be placed on right or left (top or bottom) of page at Slidell Magazine's discretion. 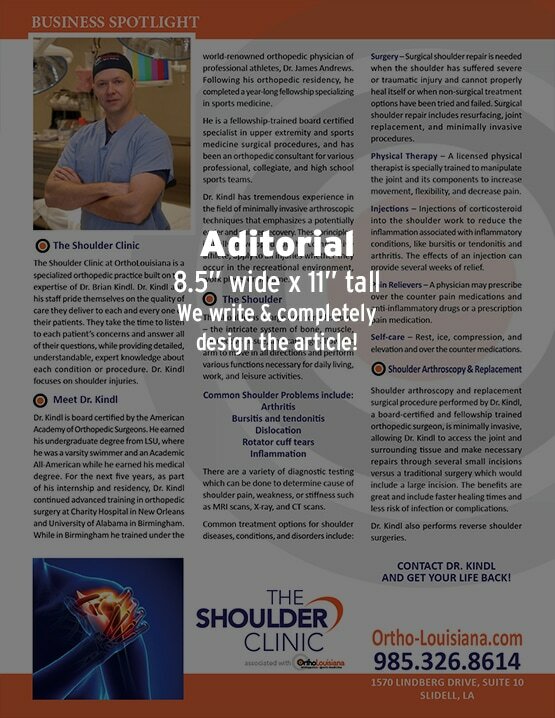 May be placed at top or bottom, on right or left of page at Slidell Magazine's discretion. your business? What are your business philosophies and missions? or left page of the magazine, at Slidell Magazine’s discretion.